Ashampoo Snap 10 is considered being a comprehensive tool for working with media files as well as sharing images and video content to different platforms. It has a lack of features to become a number one but nevertheless, it has numerous pros and benefits, which make it the top choice. 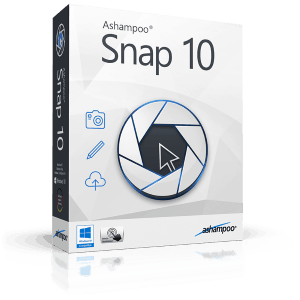 The main skill of Ashampoo Snap 10 is to make screenshots of the web pages or any other selected spot by using a simple capture button. Who tries to save time. It is essential to admit that this program works not only with images but videos and live videos as well. There are no video tutorials inside the program but you can always check them out in YouTube where successful users share their experience and thoughts. 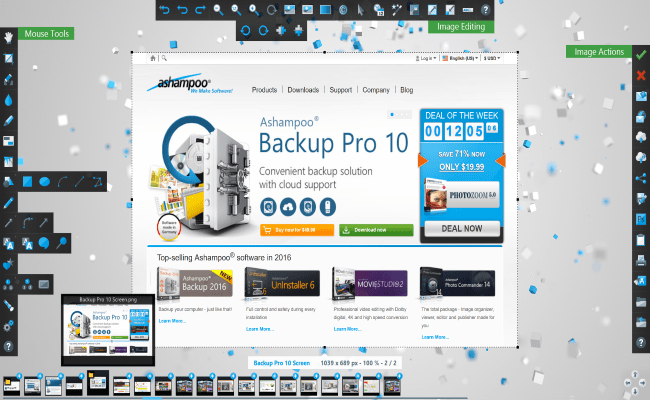 If you are a member of Ashampoo products – you will be able to get Ashampoo for $24.99 on your computer. If you are not a member – you will pay $49.99 for Ashampoo Snap 10. Installation process is easy and requires several minutes to download an installation file, choose a folder on your computer and maintain a set up. When it is over – you should create your profile or sign in if you’ve already had one and start using a program. If you are not sure – you can always install a demo version to test it. There is a small list of applications, which provide an opportunity to capture high-quality screenshots. In most of cases they have low quality or cannot be transported by email or converted to any other type of files. With Ashampoo Snap 10 you will receive an opportunity to save screenshots with 4K resolution as well as maintain conversion to GIF, JPEG, PNG or any other type of image files. You can save in WEBP formats, PDF, PSD or Snapdoc. You cannot save in Flash. When you campured an image – there’s no need to save it on a desktop or in any other folder. You can easily export it to Adobe Photoshop directly and work with the image as much as you need. You can work with video by capture it with timing and pause effects. With Ashampoo Snap 10 there is an option to edit live video. When you do not choose other actions – your video recording will be stopped automatically. Ashampoo Snap 10 gives a possibility to share your captured content directly to social media. It supports Facebook and Twitter. You can put your watermarks as well as use other video capturing opportunities to make your project look professional. Ashampoo Snap 10 has a comprehensive catalogue so that all your files are sorted and saved in a particular folder. It is convenient when you need to get a file you captured some weeks ago. You can access them in the bottom of the interface. More features of the product include movable capture when you record video; opportunity to support Microsoft Edge and display keyboard input during video recordings. Moreover, you can use external applications for editing images and videos. 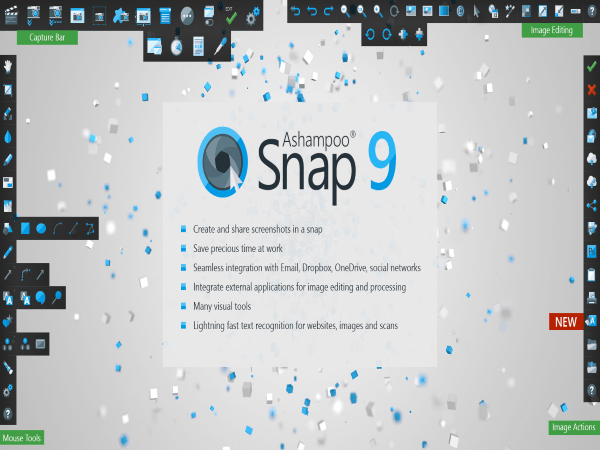 If you are looking for a simple and easy-to-use service for taking screenshots and working with media files – you should try Ashampoo Snap 10. The list of features, support of Adobe, Microsoft products as well as several cloud hosting services will make your experience comfortable and reliable. 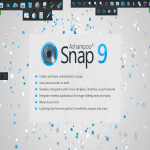 New version of Ashampoo Snap 10 brings new features and tools for a user in video editing and capturing. If you have some questions before installation – you can always contact customer support, which is available 24/7 for you.